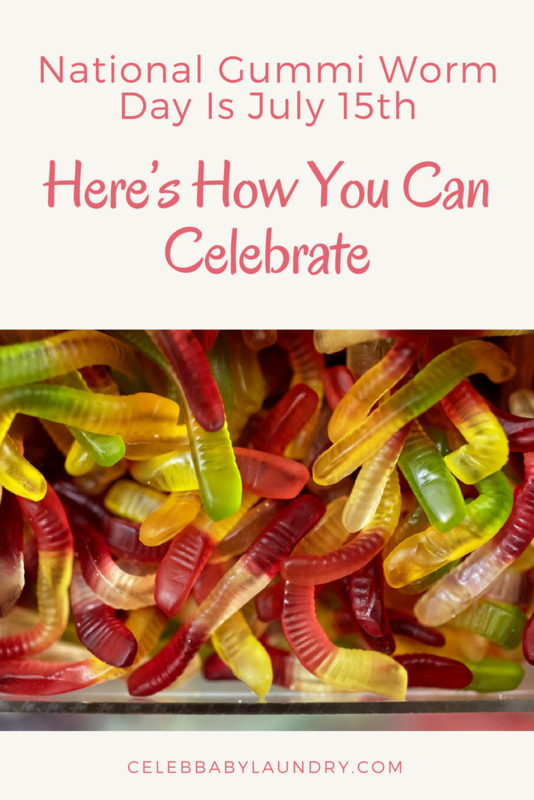 Gummi Worm Day is perhaps one of the most delicious celebrations of the year. Gummis or jelly candies are a broad category of gelatine-based chewable sweets and are widely popular and are well known in the sweets industry. They also come in many different shapes and forms including bears, bottles, worms, frogs, hamburgers, sharks, toy soldiers, full-size rats, large human body parts. Various brands such as Haribo, Betty Crocker, Disney and Kellogg’s manufacture various forms of Gummi snacks that are available at supermarkets, many retail stores and sweet shops. The gummi bear originated in Germany, where it is popular under the name Gummibar. Gummi Worm Day was first organized to help celebrate the confectionary monarch to the gummi bear. In addition to the original gummi bear, gummi worms come in all different sweet and sour flavors. Here are just a few ways that you can enjoy your favorite gummi bears and treats on Gummi Worm Day. 1) You can treat yourself to a full bag of gummi worms, of course! After all, this special day only happens once a year. 3) Better yet, you can learn how to make gummi bears from scratch at home. All you will need is gelatin, cold water, citric acid and bear-shared candy molds. 4) For adults, you can use gummi bears in alcoholic beverages. There’s even a new brand of gummi bear flavored wine to enjoy during the hot summer days. 5) You can make a devil food cake with gummi bears mixed inside. Keep in mind though that while gummi bears will satisfy your cravings for sweet, they will do very little for your nutritional requirements. If you choose do eat gummi bears, do so in moderation. And definitely have fun!